Exercise has now become a necessity if you really want to keep your body fit and free from various diseases. Exercise helps in increasing the strength of the body, reduces the fat content of the body and also reduces the risk of obesity or any other fat related problems. But in order to increase the strength of the body to have to work hard, perform exercise on a daily basis and maintain a strict balance diet. One of the best exercises to perform is the Planks. There are various forms of planks which you can perform. The easiest form of planks is to just lie down with your head upside down. Keep your legs straight and your arms in a perpendicular position. Raise your body in air. Put pressure in your arms resting in the floor and your toes. Your body should be in a straight line. Slowly raise your hips upwards. Stay in this position of 5-10 secs, the longer to can withstand the pressure, the better for you and then return back to your original position. Perform 10-15 planks daily for best results. Biceps curls is one of the best exercise which will increase your body strength and will also helps in increasing the strength of your muscles. Stand straight with your legs slightly apart. 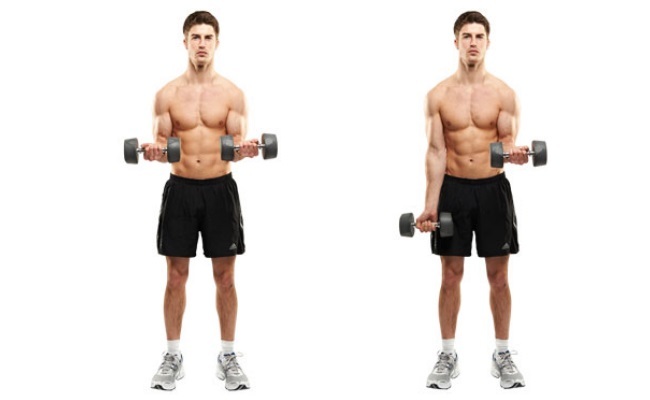 Hold the dumbbell of suitable weight in your right arm and curl them upwards towards your shoulder. Simultaneously bend your right knee in the parallel direction to the floor. Hold this position for few seconds and return to your original position. Repeat the procedure for 10-15 times. Stand up straight by keeping your legs wide open and your both arms in front of you. Spread your right and left leg by lowering down to make a side lunge. Then slowly try the cross over lunge by keeping the left leg behind the right leg. Repeat the same by switching the legs for 4-5 times. Push-ups is an excellent exercise to increase the strength of your body. It is the most common and easiest form of exercise which you can perform. Claps push-ups is slightly different from the regular one. Position yourself like we usually do for a regular push-up and make sure that your elbow should be along the line of your body and the posture of the body should be straight. Slowly lower down your body and as soon the chest comes closer to the ground quickly raise back your body by raising your hand and clapping. 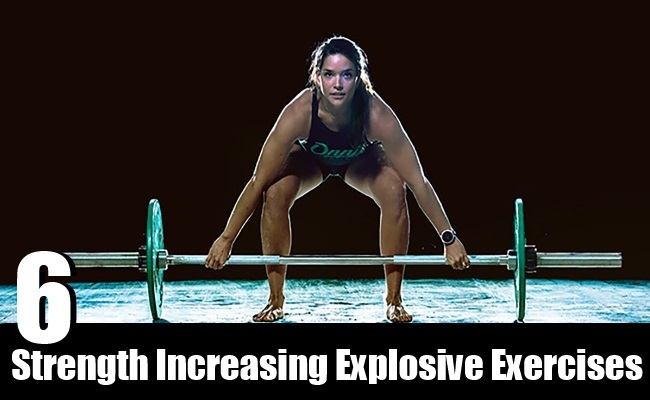 Perform this exercise as much as you can for best results. Stand up straight with your feet together and hand by your side. Raise your hands straight up in the air and jump simultaneously in order to spread your legs wide. Without stopping quickly reverse your movement. Repeat the same for 10-20 times. Jumping jack exercise is one of simplest form of exercise which you can perform without causing any difficulty. The exercise strengthen your body and keeps your heart healthy. There are various forms of squats. The most effective form of squat which helps in increasing the strength of the body is the forward squat. Bend your body and keep your right leg in front position while stretching your left leg and the fingers of your hands must be touching the floor in order to perform the squat. Repeat the same by keeping the left leg in front position and stretching the right leg. Continue the exercise in both positions for 10-15 times.